The Waka Tour is an interactive cultural and educational experience that is one of Wellington's must do activities. This 2 hour tour begins with a traditional Māori welcome to a whare (meeting house) followed by whakawhanaungatanga (Māori introductions). 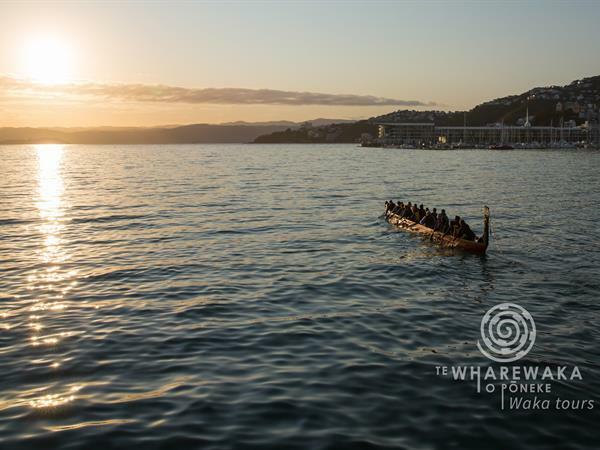 On this tour you will learn some Māori language, traditional paddle techniques, waka calls, haka and salutes followed by experienced kaihoe and kaihautū taking you on a journey on the water in and around Te Whai Repo lagoon, out into Te Whanganui a Tara (Wellington Harbour) and along the waterfront in a traditional waka. See more information about the Waka Tours By Clicking Here.